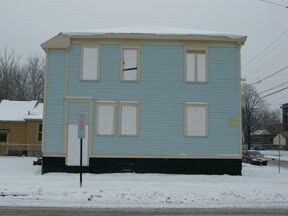 601 Tully's photostream on Flickr. 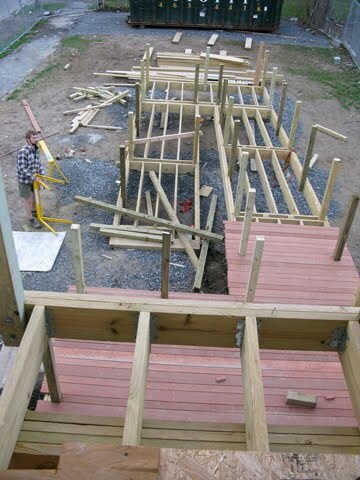 Installation of the ramp. Zach Seibold returns and $*&%$$ of mahogany awaits. 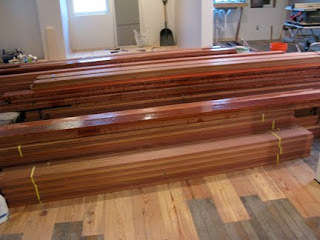 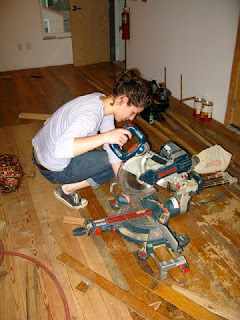 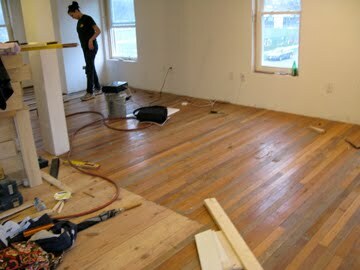 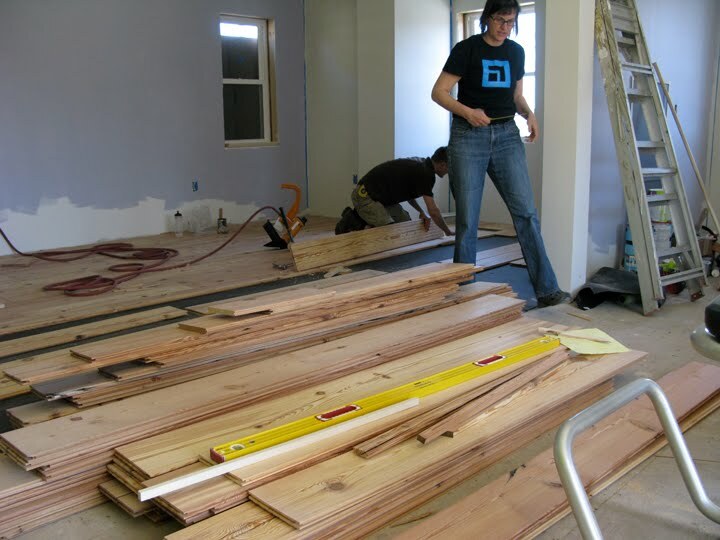 Installation of reclaimed floor boards. Oak floorboards from Shermans Restaurant and ESF dormitories and pine floorboards from beams in Lincoln Supply. Kim Wolfe and Sam Harmon lead the team of installers. 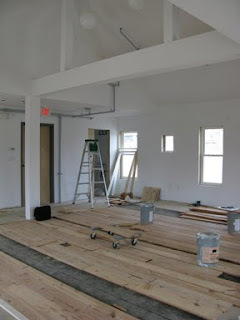 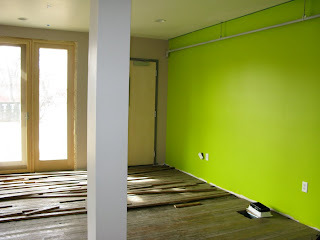 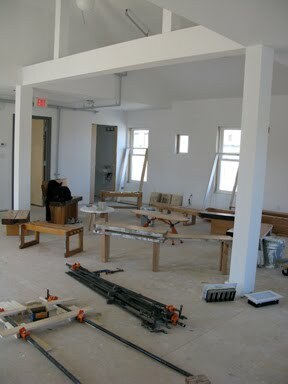 Our lime green wall, stacks of recycled wood beams-turned-floor boards, and the same floor boards being laid in the second floor.